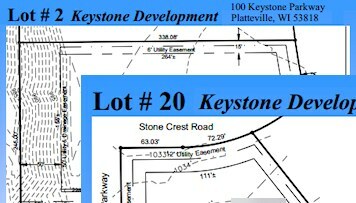 Platteville Development Group is developing the Keystone Development as a mixed-use retail, commercial and residential development. 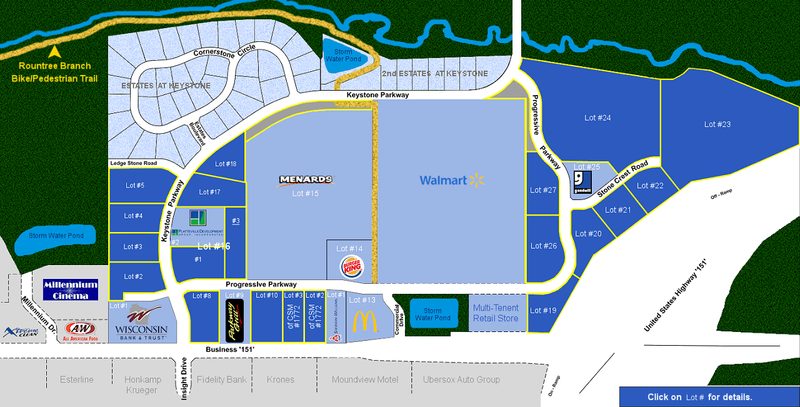 The Walmart Supercenter and Menards are the cornerstone of the development. Other established businesses include Wisconsin Bank & Trust, McDonald's, A&W Restaurant, Sherwin Williams, Goodwill of Platteville, several local business offices, and some other retail businesses. 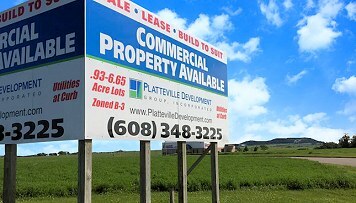 Take a look at the plans and we think you’ll agree that opportunity abounds in Platteville, Wisconsin. 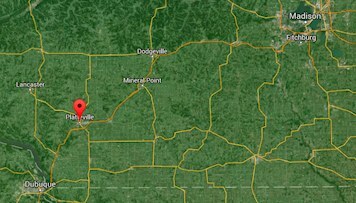 Platteville, WI is a city of over 12,000 people in Grant County, WI which has over 50,000 residents, and over 100,000 people live within 45 minutes of Platteville. Four-lane Highway 151 connects us with Madison, WI in less than an hour and Dubuque, Iowa, is just minutes away. The University of Wisconsin-Platteville has over 8,600 students and is expanding annually. Added housing and a positive economic environment provide opportunities for you to grow right along with Platteville! © 2019 Platteville Development Group, Inc.